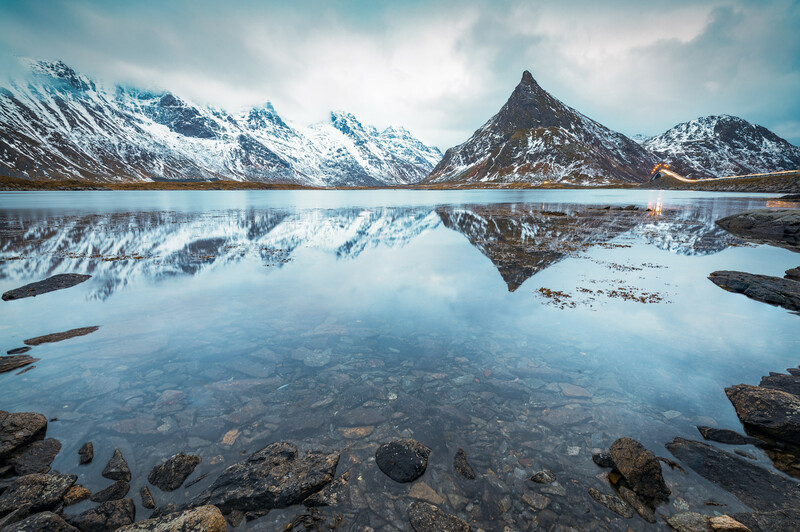 The Lofoten Islands offer incredible views from every angle! This peak is Fredvang, it's unique in its shape and almost perfect geometry. While it had been storming all day with high winds I was able to catch a small break in the weather to capture this reflection in the still water.